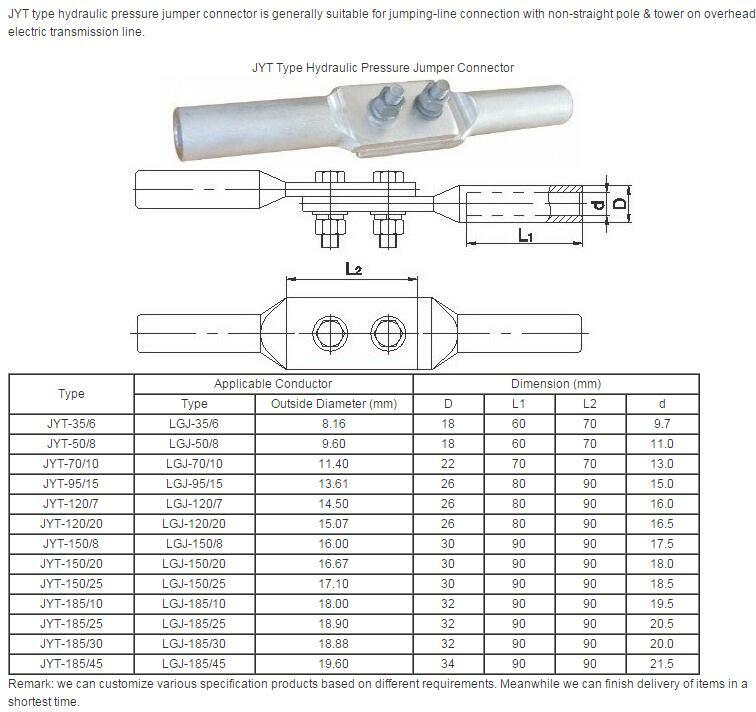 Product categories of Jumper Connector, we are specialized manufacturers from China, Jumper Connector, Compression Jumper Connector suppliers/factory, wholesale high-quality products of Hydraulic Compression Jumper Connector R & D and manufacturing, we have the perfect after-sales service and technical support. Look forward to your cooperation! The hydraulic pressure Jumper Connector hardware is a kind of conductor jumper wire connector between two tube busbars in power transmission facility. 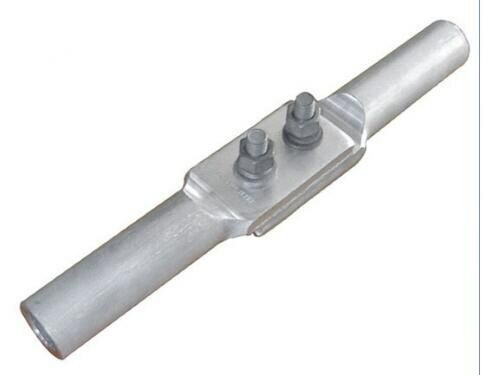 The clamp body is aluminium,the other parts are hot-dip galvanized steel. The Splicing Fitting is primarily used to join kinds of bare conductors and lightning conductors. It bears the same electirc load as conductors. Most splicing fitting bear all the tension of conductors, ground wires and lightning conductors. According to the tensile condition, splicing fittings include force-bearing type and non-force-bearing type. Splicing fittings are generally divided into compression type and preformed type. And the compression type includes hydraulic compression, explosive compression and compression with pliers.